Linda Faulkner Dance School is committed first and foremost to cultivating the love of dance in our students. The craze lately seems to be competitive dancing. However, we feel that dance in it’s purest, most enjoyable form is recreational. For this reason, we are a non-competitive, recreational dance studio that is passionate about teaching dance in our wonderful community of Blythe. 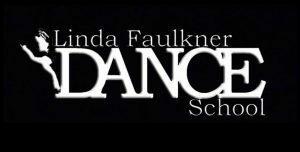 Linda Faulkner Dance School’s main focus is developing each student’s talents by nurturing their individual abilities. Our goal is to instill self-confidence and self-esteem as well as to give each student an understanding and appreciation for dance that they can carry throughout their lives, no matter what profession they may choose. If this is what you’re looking for, you’ve found the right place! We offer tap, ballet, jazz, acrobatics, hip hop, Zumba kids, and 1-2-3 Dance with Me classes to children from ages 1-18. We also offer adult Yoga and Zumba classes.